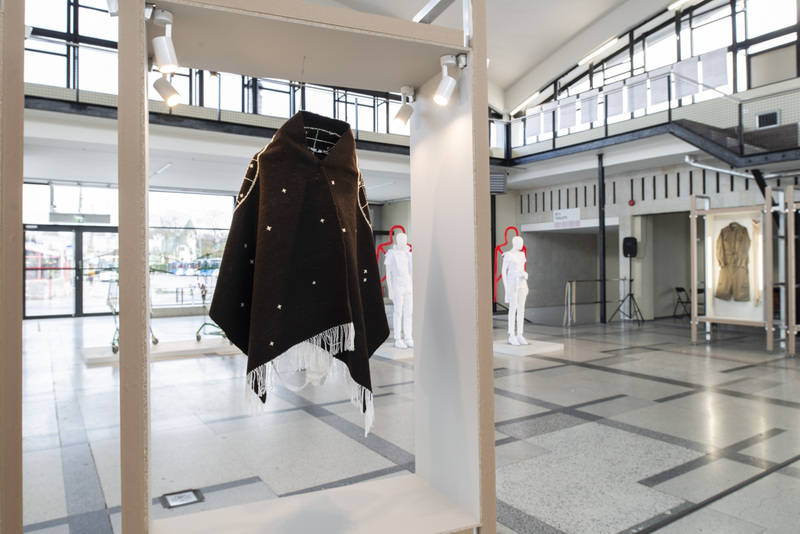 Mythology of the Toilet aims to offer a new perspective on the Estonian folk costume, which is too often seen as holy and sacrosanct. 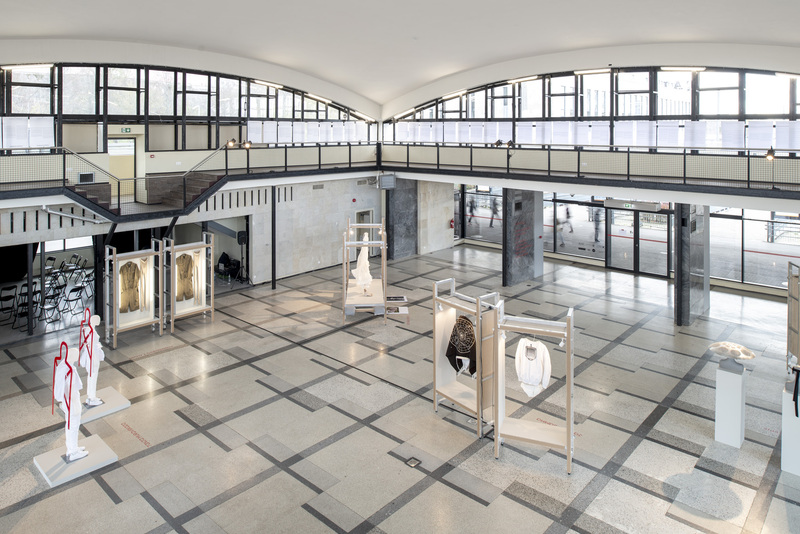 The work consists of two sets of clothes for men. 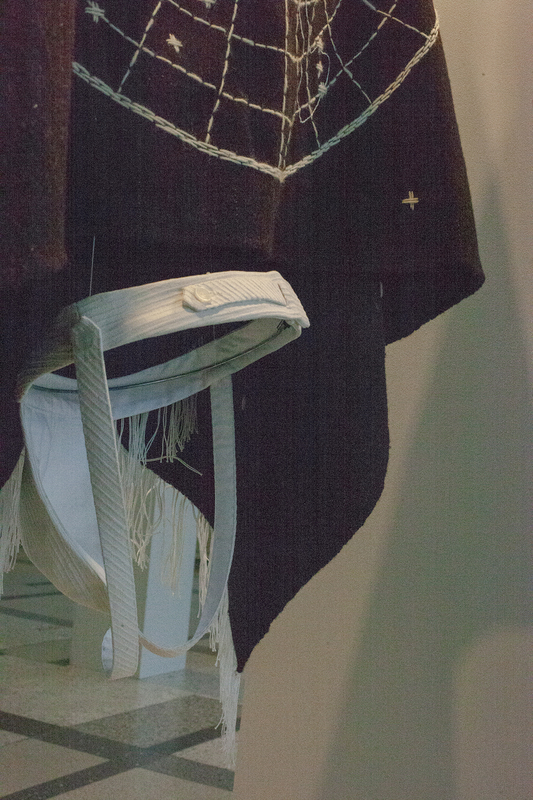 The first set features a handwoven blanket that is worn over a jockstrap. The linen jockstrap is a modern take on traditional underwear. It’s made from vintage handloom fabric and it employs a traditional fastening system in the back. 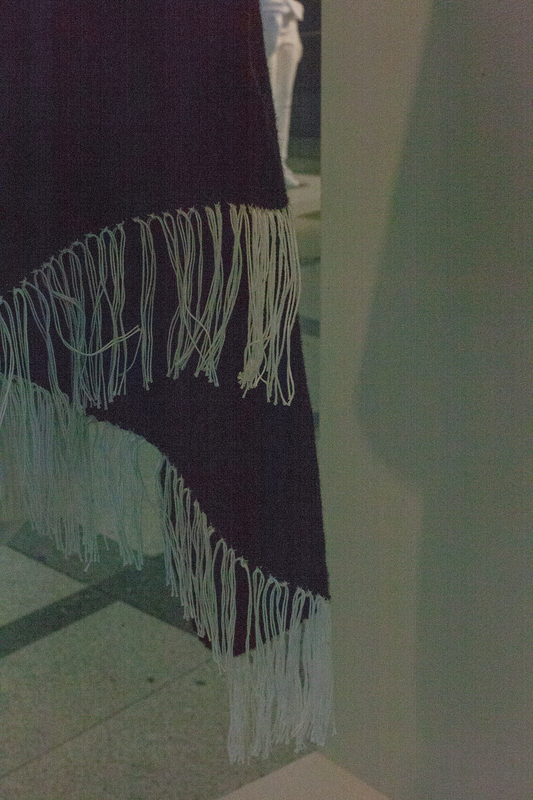 The blanket is woven by handloom from undyed brown lambswool. The embroidery on the blanket depicts an astrological map of toilet-themed zodiac signs. 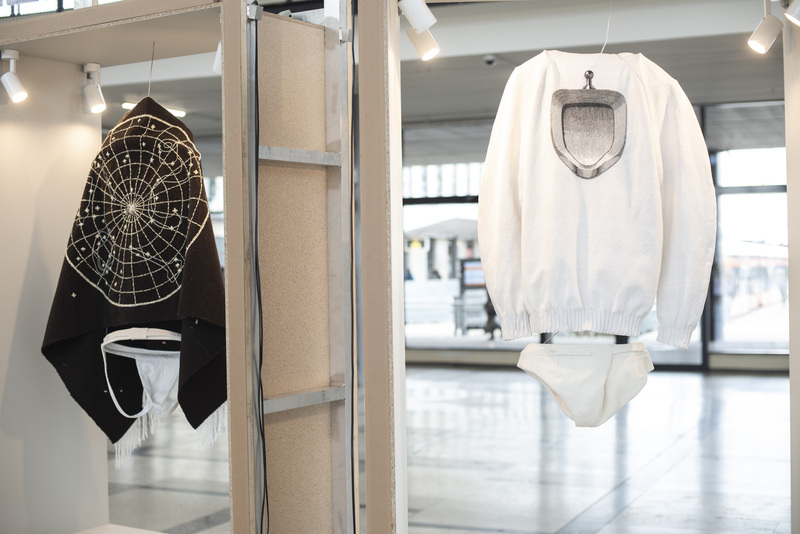 The second set is composed of a pullover and briefs. 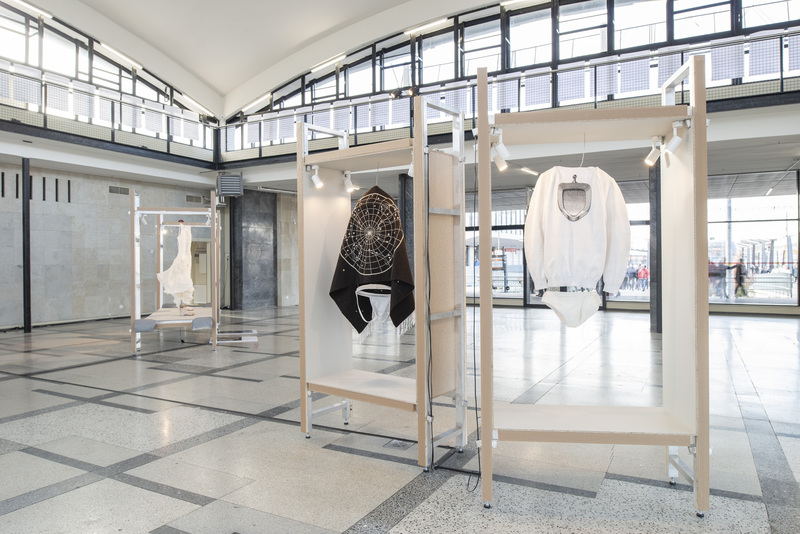 The white pullover has a modern cut but it’s sewn from vintage linen textile. 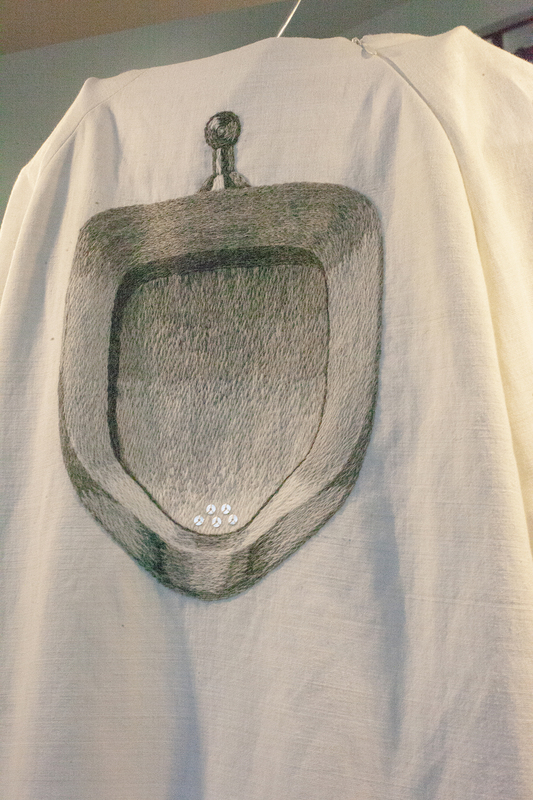 On the back, it has an embroidery of a urinal with silver sequins. Its visual style references the traditional embroidery technique from Muhu Island with similar use of threads and sequins. 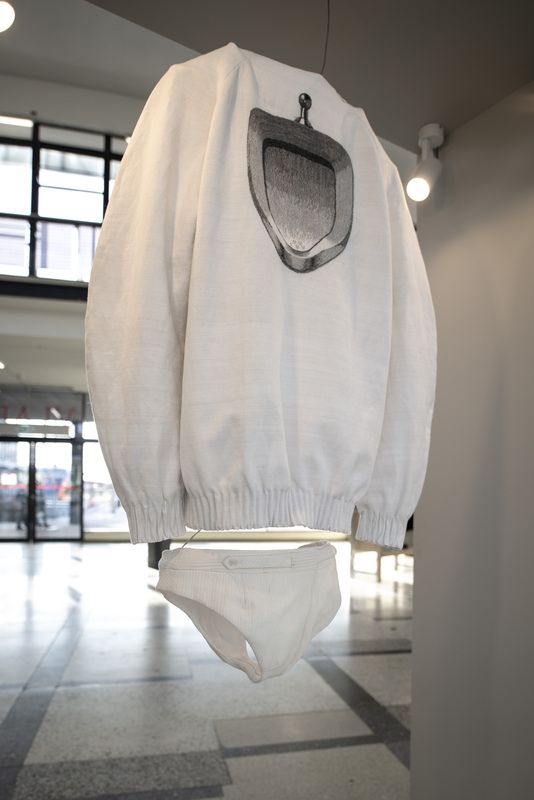 The pullover is accompanied by simple linen briefs. 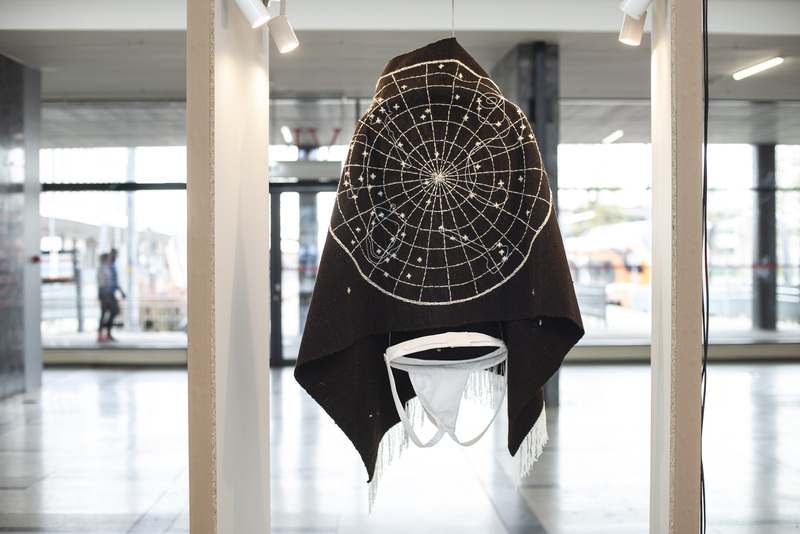 Garments are tailored by Liina-Mai Püüa, the sweater is embroidered by Mari Viik, and the blanket is woven by Ingrid Helena Pajo.